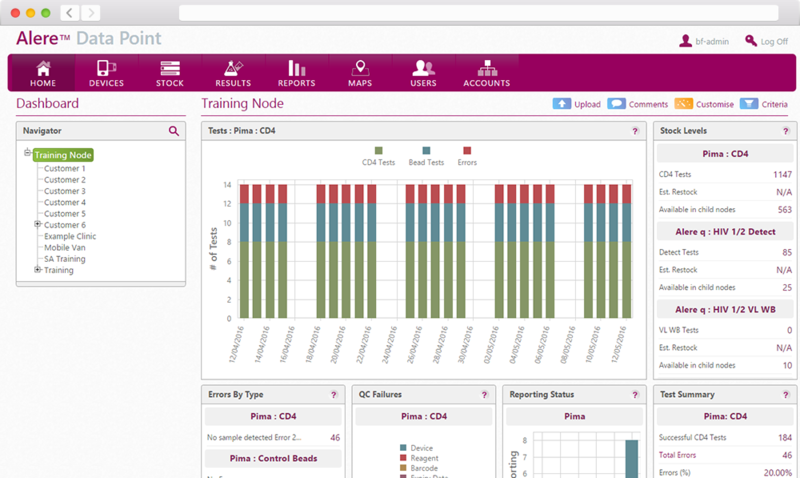 Developing the Alere Data Point™ portal to improve management of diagnostics results to improve treatment time for children in Africa and save lives. The Elizabeth Glaser Pediatric AIDS Foundation (EGPAF) in partnership with Alere were working towards lowering infant mortality from HIV infection, as part of the Early Infant Diagnosis (EID) initiative, by reducing diagnosis & treatment times through process automation and connectivity. The aim was to roll-out the programme initially across 9 countries in Africa, and with proven success, fund further expansion into other African countries. We were approached by the R&D team at Alere to develop integration for the Alere q device within the Alere™ Data Point portal to capture transmitted results and manage the routing of the results to SMS printers, which were to be located at remote clinics throughout the selected African countries. With testing and diagnosis currently managed via a paper-based system, the EID programme has treatment times of up to 12 weeks. It was hoped that by developing a connected solution with an affordable means of transmitting results, times would be drastically reduced; ultimately saving the lives of many infants. The difficulty with this would be solving the problem of connecting hospital-based devices to a platform that could then redistribute valid results to remote clinics in an accurate and cost-effective manner. We worked closely with the Alere R&D team to develop a robust solution that could not only manage the locations of the Alere q devices within the programme but could also receive the transmitted results from each device in a standardised format to the Alere™ Data Point portal and from there transmit results to their associated SMS printers, as part of a hub & spoke configuration; with a focus on keeping SMS costs to a minimum. 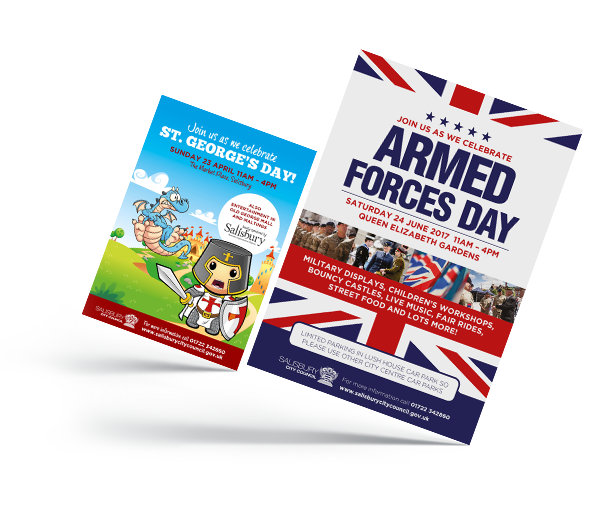 Using our specialist knowledge of database applications and device connectivity, we assisted both Alere & EGPAF to determine the design of the programme’s processes. Continuing our efforts with the Alere™ Data Point portal, we were required to develop some complex coding logic to determine and ensure the appropriate SMS printer was contacted, that it was enabled within the workflow and that the result was valid and formatted correctly to be received. To provide low-cost SMS text messages to the SMS printers, we developed a means of sending abbreviated result transmissions that could be interpreted by templates on the SMS printers, so as to print-out fully-formed results. Furthermore, security considerations were of paramount importance throughout our development, due to the nature of the patient results, particularly as the SMS printers were required to request results on occasion – so a robust permissions model was coded to ensure each SMS printer could only receive results it was allowed to access. We used the test-driven development (TDD) approach, to ensure we maintained a quality focussed codebase. Our development team created and maintained all code; assisting with server architecture enhancements to incorporate development, beta testing and production servers. Continuing the development of the Alere™ Data Point portal, we used the latest Microsoft .NET and SQL database technologies to overcome connectivity issues and handle inconsistencies in how data could be transmitted from remote devices to be managed centrally and transmitted securely onto other remote devices. We enhanced the existing location mapping of Alere™ Data Point portal to accurately plot device locations and their transmitted results onto a map in real-time to monitor programme connectivity and measure the success of the programme. Our research, planning and design helped us to understand the complexities and limitations of the EID programme – ensuring the unprecedented success of this development project and ultimately reducing the times to treatment to just 3 days! Enabling HIV-infected infants to be moved immediately into anti-viral treatment programmes; saving many lives, where previously those critical first few weeks would have seen many succumb to infection. 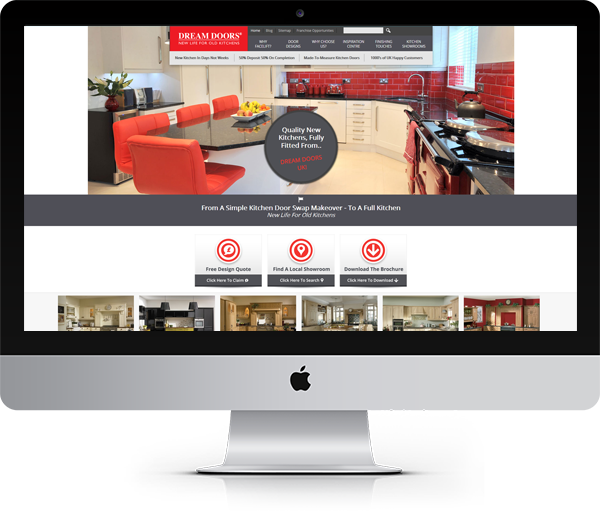 Blue Frontier have been providing a number of services to Dream Doors since 2010 which include Search Engine Optimisation, Pay Per Click Management, Social Media, Content Creation, Web Design, Hosting and Graphic Design. 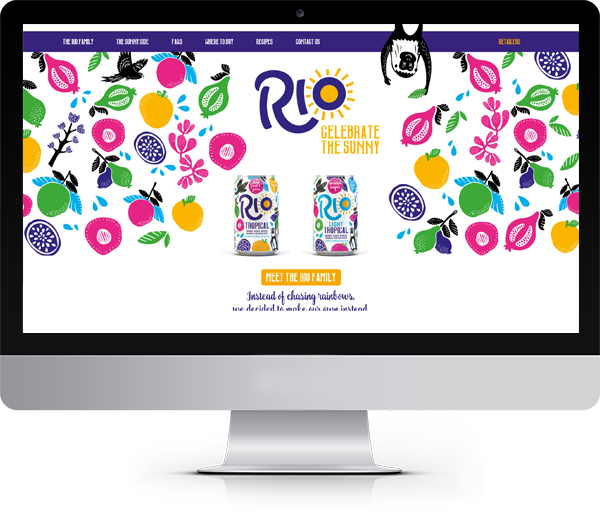 This project highlights our ability design, build and host large and engaging e-commerce websites, balancing UI design, SEO and content marketing for optimum performance. 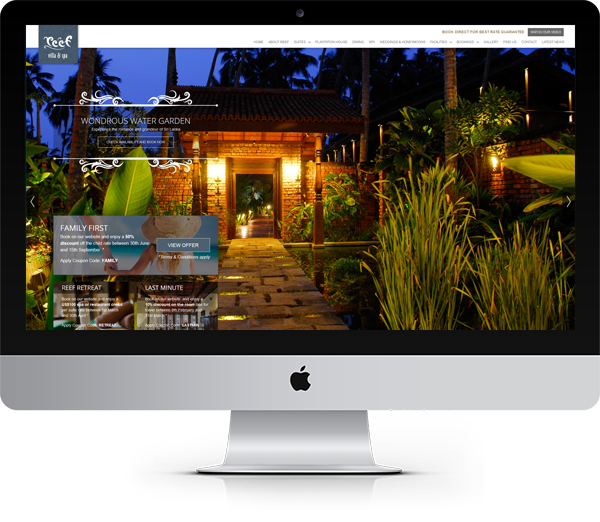 Blue Frontier designed, built and launched a new website for Reef Villa. 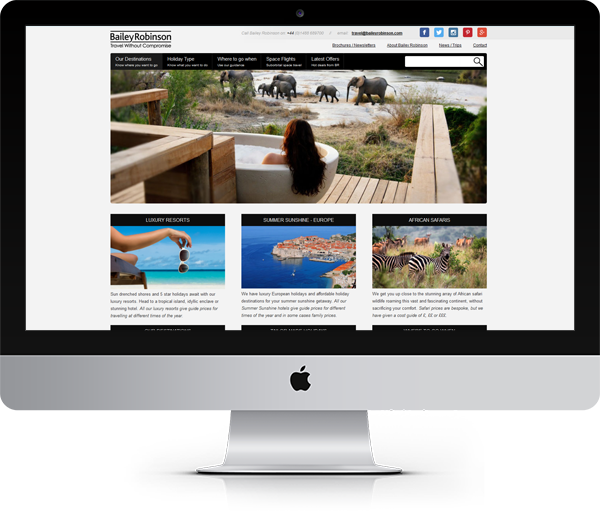 This was using the latest version of Joomla, responsive design and bespoke booking system. Produce a functional and scalable website with a full end-to-end service that can cover design, development, hosting, optimisation, technical support and training. This project highlights our ability to work with a wide variety of legacy platforms, build and host large websites, and balance UI design and SEO for optimum performance. 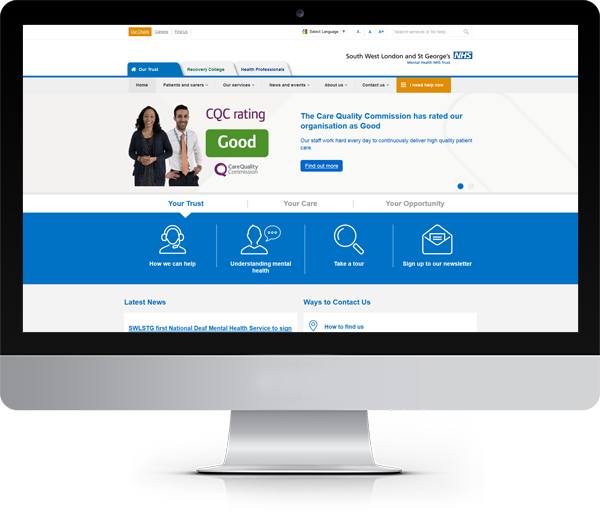 This project highlights our ability as an expert web partner for NHS Trust and public sector organisations. Bringing this bright, colourful and playful brand to life with a responsive design using the latest version of Joomla. 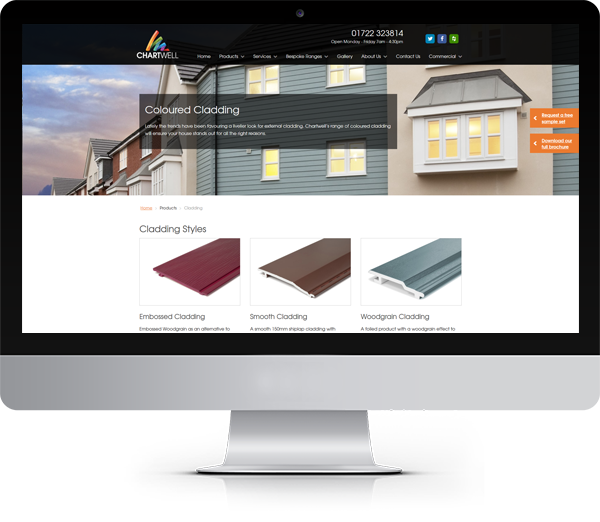 New website design and build for Chartwell Finishing using the latest version of Joomla, responsive design.